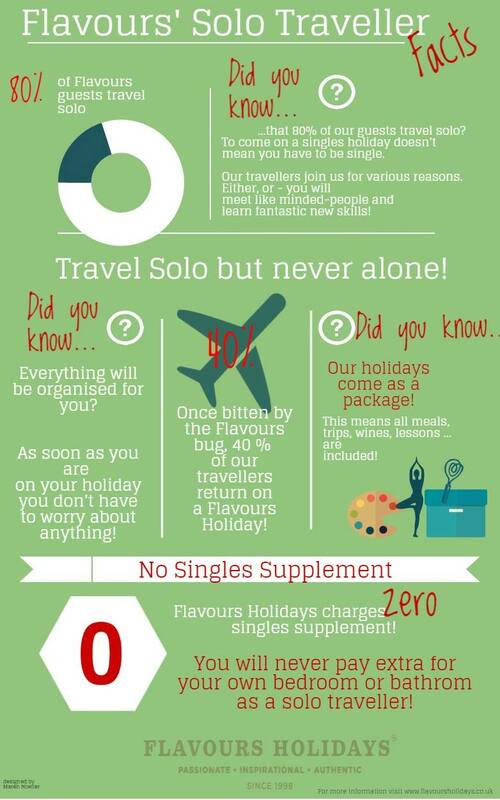 Home » Flavours Blog » Solo traveller holidays – travel solo but not alone! Solo traveller holidays – travel solo but not alone! Going on a holiday for single people can sometimes sound daunting; especially if it is the first time you are travelling on your own. Searching for the right tour operator often turns out to be overwhelming. And, usually, after hours of researching the World Wide Web you still feel quite unsatisfied with your results left with plenty of questions unanswered. What is it like to go on a holiday for single people with Flavours? Of course, without having been on one of our holidays for single people, it is rather hard to imagine what it will be like. Will I have to pay a single supplement? Do I have to share a room with a stranger? These and other questions will go through your head when you consider going on holidays for single people in Italy for the first time. To help, encourage and reassure you that our cooking, painting, Pilates or language holidays are the right choice for any traveller, we prepared our top facts and figures for you. To find out more about our solo traveller holidays you can also contact our experienced travel team today! 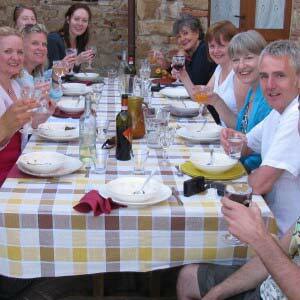 If you would like to learn more about our cooking holidays in Italy, then please don’t hesitate to get in touch. Flavours also offer fantastic Italian painting, Pilates and language holidays! To find out more simply download our e-brochure here.